I have a contract hire vehicle and would like a quote. What figures should I use for the Contract Hire Plus policy? For "Cost of vehicle" you should enter the estimated list price of the vehicle and select the term of cover you wish to take. The system will automatically suggest a claim limit but this can be tailored further to suit your needs, based on the total amount you will be paying over the term of the contract. Is Finance GAP the same as Contract Hire GAP? This depends on the supplier but you really need to double check the small print. Our Contract Hire Plus GAP specifically covers up to 100% of outstanding rentals and any potential shortfall in residual value. Based on average figures you could assume that a 2-year-old vehicle would be worth about 65% of its original value, a 3-year-old vehicle 45% - 50% and for 4 years you could assume 35%-45%. When getting a quote our system suggests a "GAP Claim Limit" on this basis. If the vehicle is on a lease or contract hire agreement, it is worth checking with the leasing company their policy on charges if the contract is terminated due to a total loss. Many leasing companies charge 50%-60% of outstanding rentals whilst some will charge you 100% of outstanding rentals. My initial rental under the agreement is £1,700 – what level of cover should I buy? 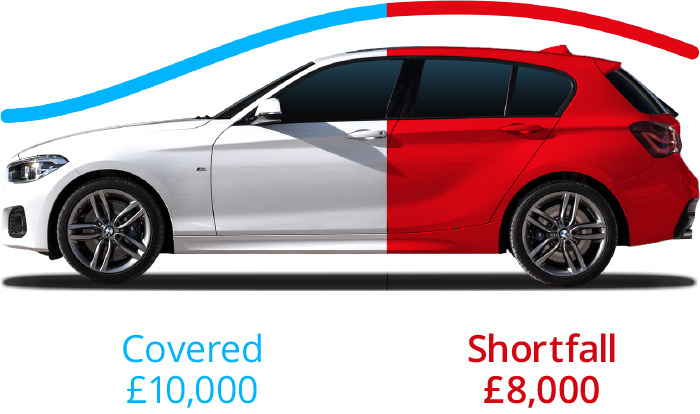 With Initial Rental Cover we offer a choice of claim limit - either £1,000, £2,000 or £3,000 – and we would suggest taking the one which would cover your full deposit. In this scenario we would suggest a £2,000 claim limit to be the most suitable. This means that, in the event of a total loss, you would receive back the full £1,700 initial rental paid at the start of the agreement.